Awesome friends, I am so excited to bring ya’ll another episode of my video series with my blogging bestie, Nancy from Artsy Chicks Rule: Thrift Shop Shakedown #4! 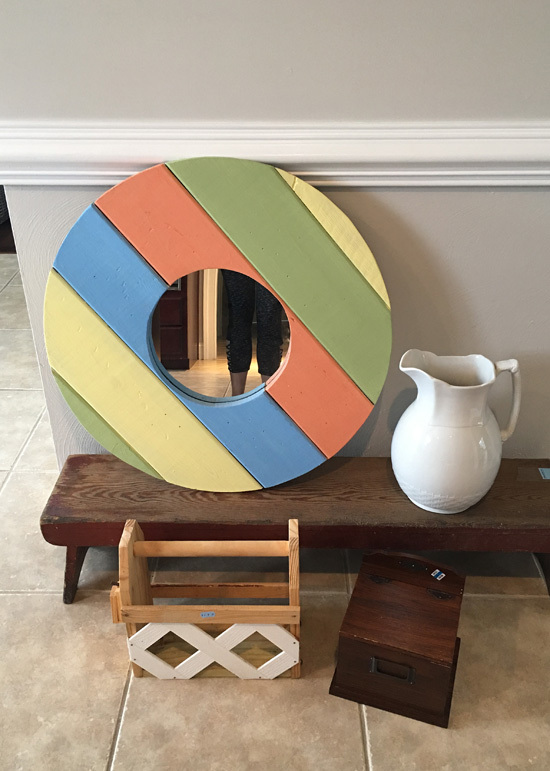 As you know, we love thrifting, but it’s even more fun when we can take you with us!! In this video, we take you thrift shopping with us to pick out something for each of us to make over. Today we are also sharing what we did with the items we found! If you don’t see the video or have trouble viewing it, you can see it on YouTube HERE! We laughed a lot that day! You probably remember that funky lattice tote I already shared. I picked it up for 99¢. If you missed it, you can see that makeover HERE. This isn’t something I would normally have brought home, but it was a fun challenge for our video. It was also only $4.25! Not too bad now, huh? I’ve included a few affiliate links so you can find the products l love. 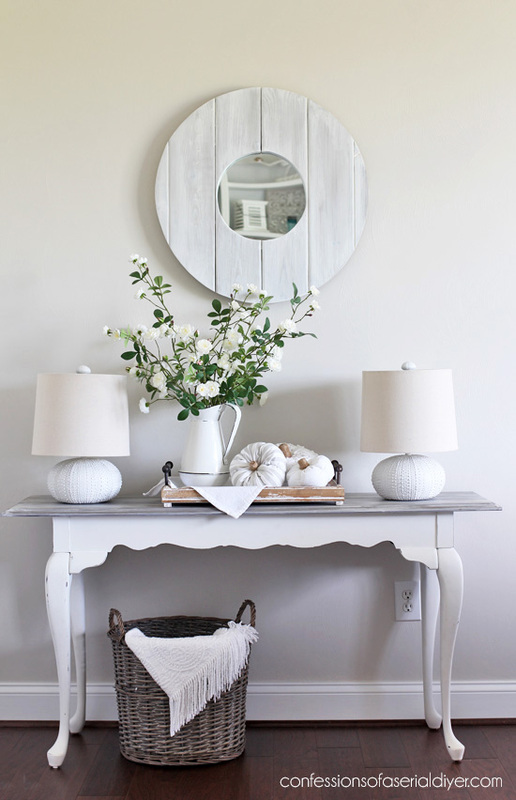 It had kind of a beachy vibe before in a very colorful sort of way, but now it is more my coastal style. It almost reminds me of driftwood. 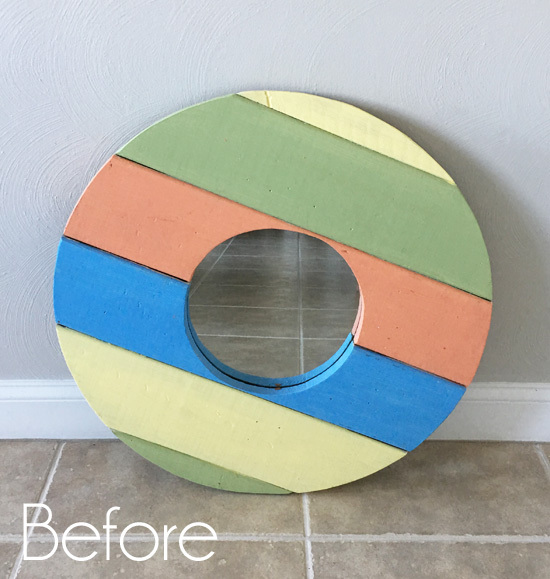 To get this look, I first used my rotary sander and 150 grit sandpaper to sand away the rainbow of colors. Then I used my shop vac to clear away any dust from sanding. 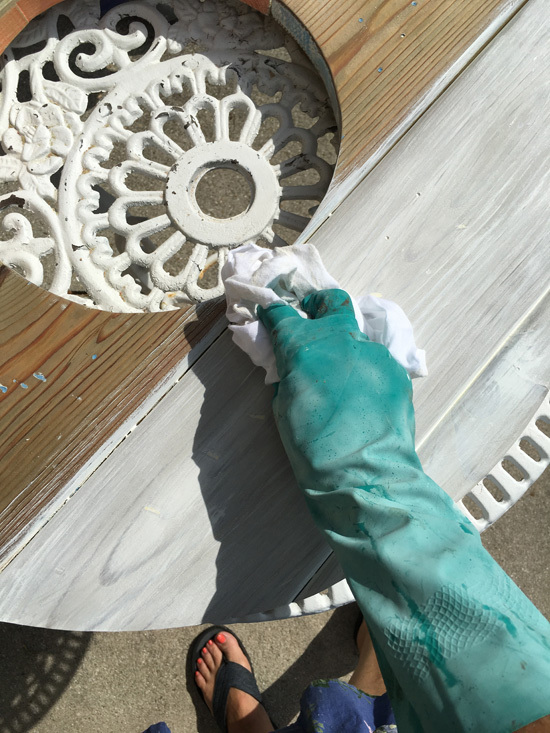 I sealed with Annie Sloan’s clear soft wax and called it a day! Summer flowers and pumpkins? Sure, why not…it’s still in the mid 80’s around here! 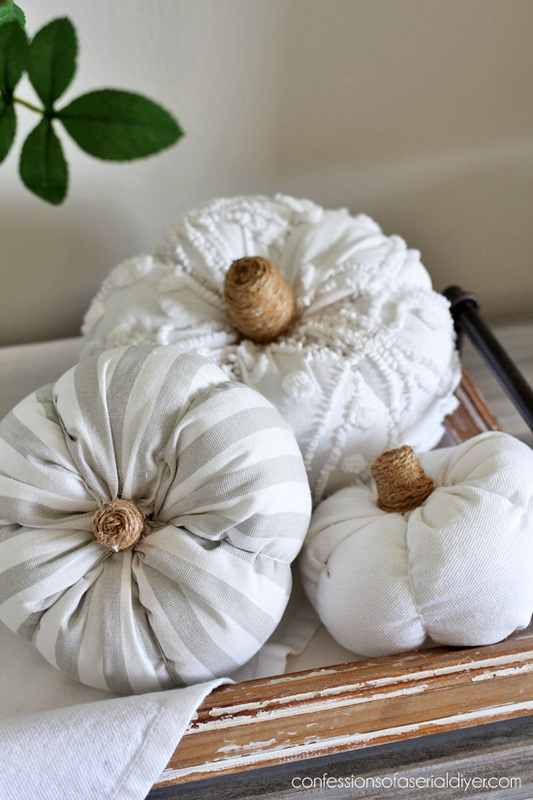 Speaking of pumpkins, do you remember these cuties I shared not too long ago? You can find the super easy tutorial for those HERE. 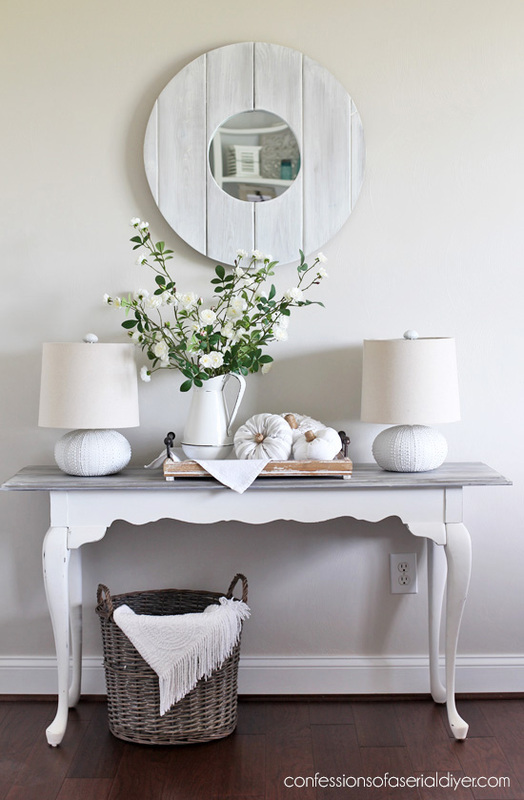 I hoped you enjoyed our video and this simple makeover! Hop on over and visit her HERE to see what she did with it! If you missed our last thrifting video, you can see that HERE! 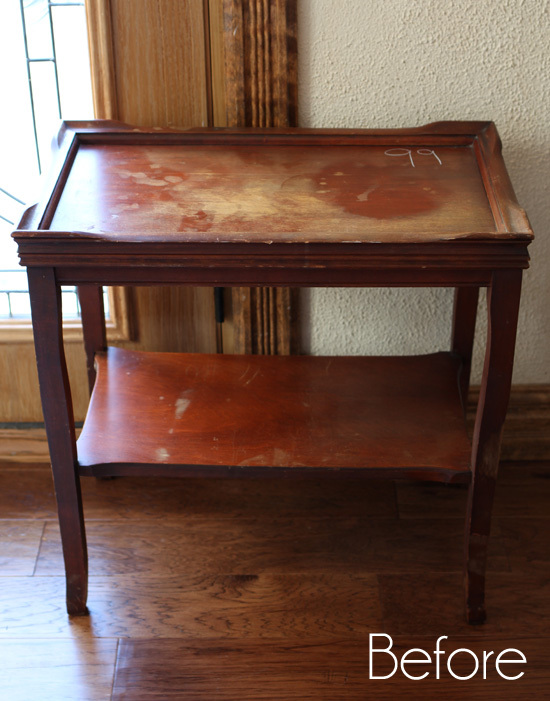 I’ll be back on Tuesday sharing this table…it was the best deal I ever got at a thrift Store! You two are so fun! I would love to go to your thrift store, they have so much furniture. I love how your mirror turned out and Nancy’s sign is amazing also. I just love it when you two get together, its such a hoot!! 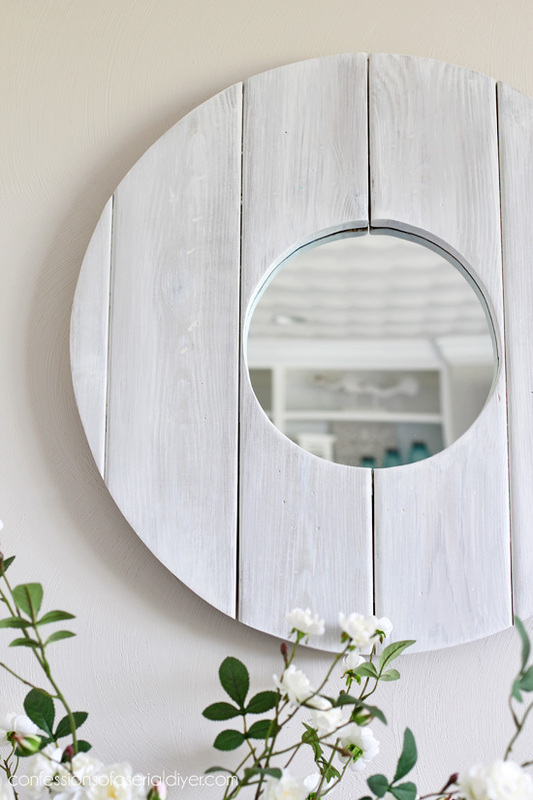 The porthole type mirror turned out beautiful. If it goes into your shop, I know it will sell quickly. 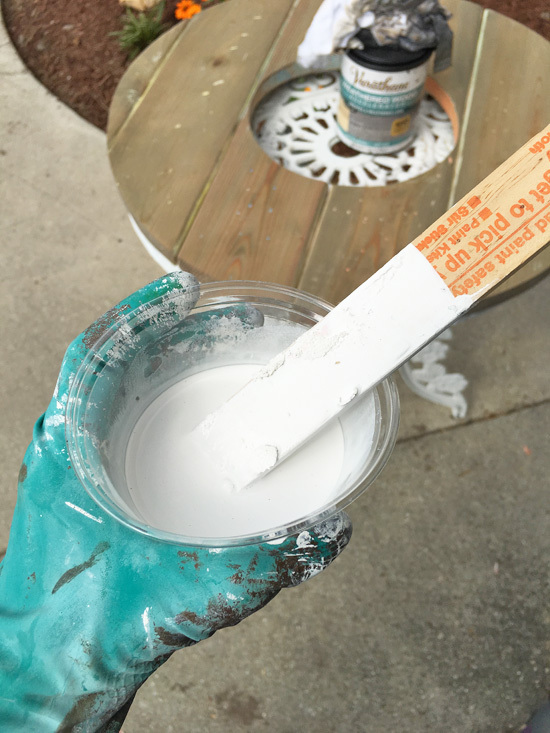 Hi Christy, I’m wondering about doing this paint method so it’s food safe. 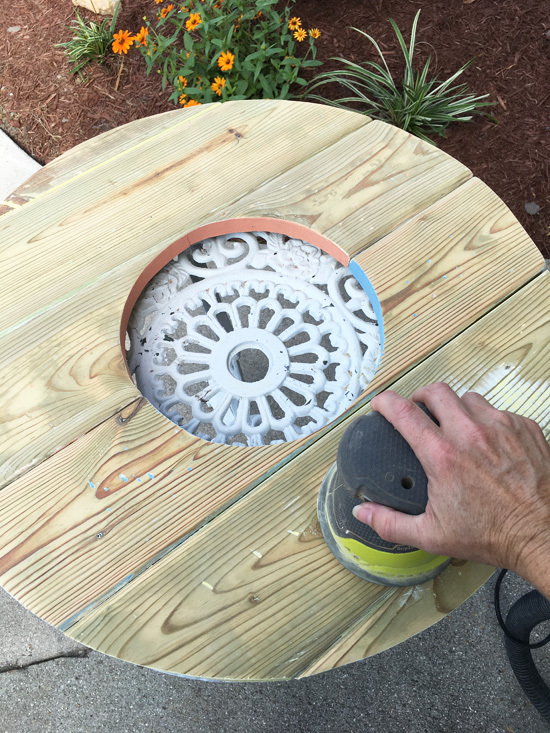 I’d like to do it on a new, unfinished wood round to use as a serving tray? Would sealing it with wax be all i need to do? Thanks! I would love to go with you two…..as the chaperone with wine 😂😂.Thanks for letting go along. 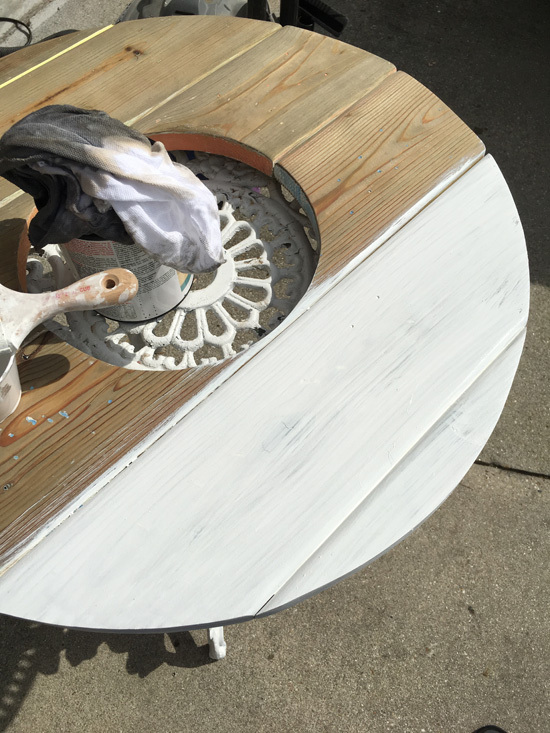 How do you decide weather to use chalk paint or spray paint? On the metal hardware so I have concluded that maybe metal should be sprayed instead. Christy! I can’t find the video? Oh no! It should be after I say, “But first, enjoy the video of our shopping trip.” Maybe it is taking a minute to load? What a fabulously fresh new look! Love it! Hi Christy, I had the same trouble with the video, both on your site and the Artsy Chick site. Where it says “enjoy the video,” there is no link. Nothing on her site either. I tried to get there from two different browsers, but neither could find it…nor could a search from the home page. Help? 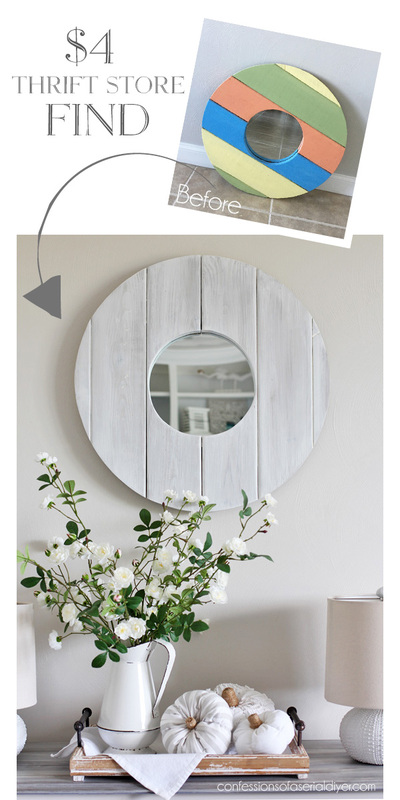 Such a simple but lovely fix, Christy! LOVE! I gotta see if Anika will be my thrifting buddy! I love the makeover! What did we do before paint??!! 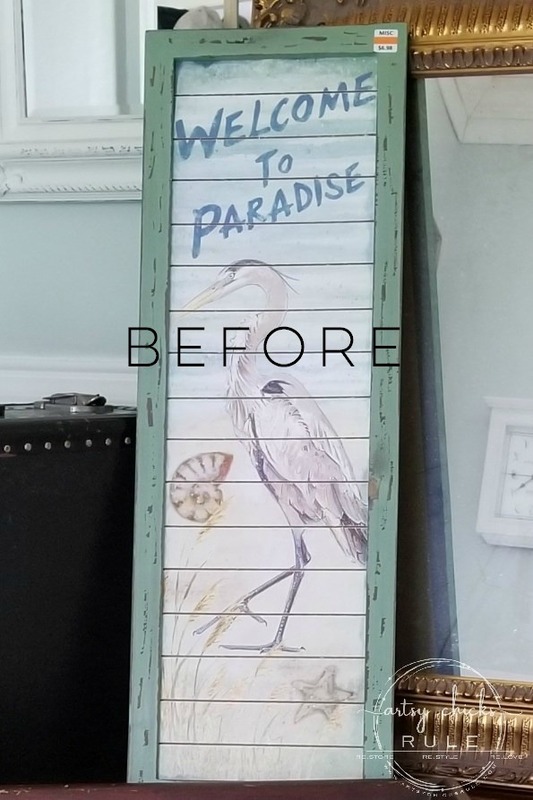 I love how paint, patience and creativity can totally transform a thrift store find! Have a great one! You are a total inspiration! Thank you, thank you, thank you! Love what you did to it. 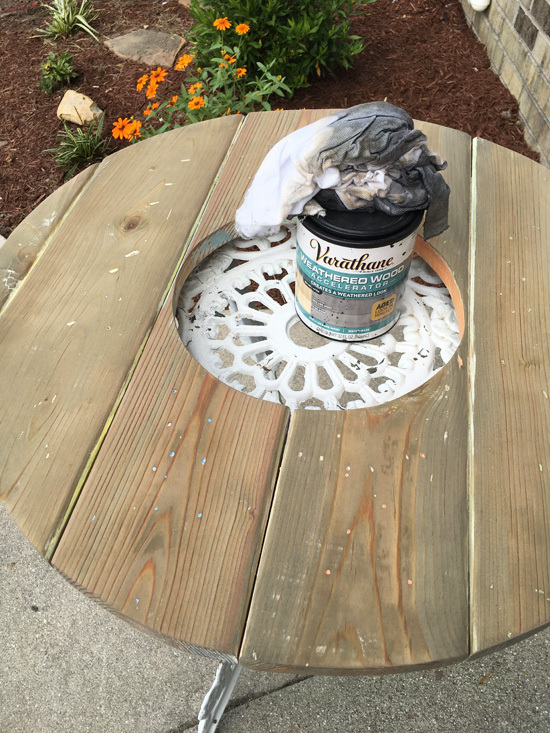 It never ceases to amaze me what a difference paint can make! 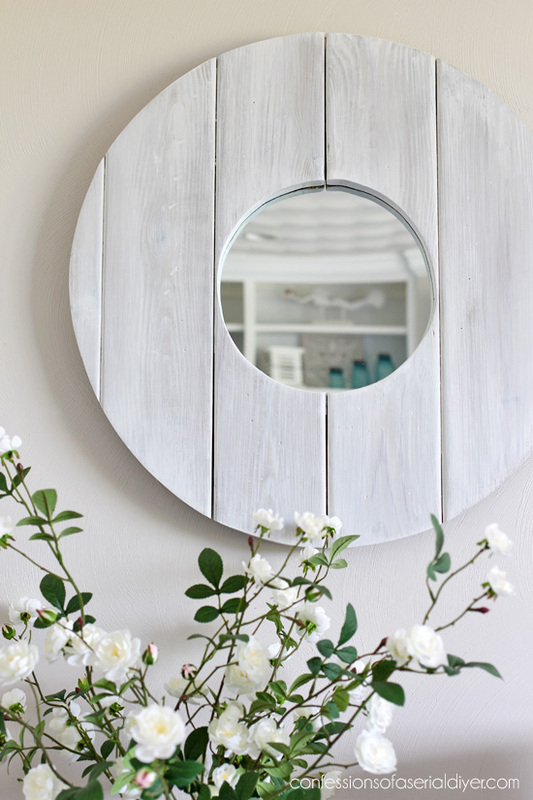 The mirror looks sooo nice. Hi Christie! 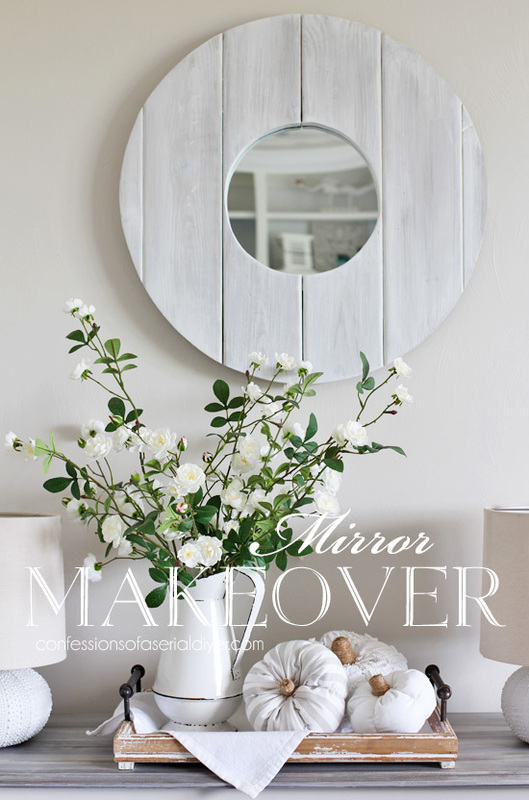 I love the mirror! We are just getting power after Michael went through and blasted our little town. I’m catching up on my blogs and didn’t realize how much I miss y’all when I don’t “check in”.